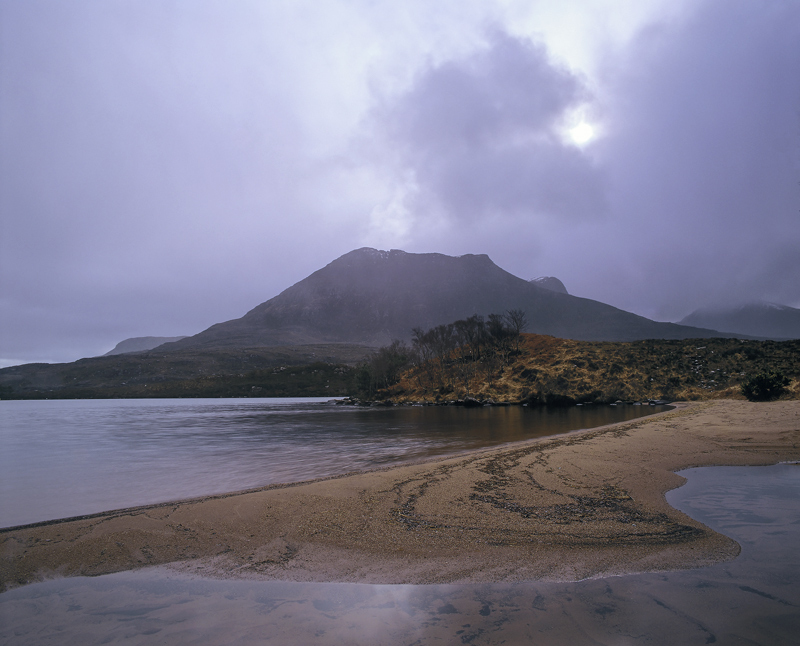 Regular passing hail and sleet showers passed by our position at the little sandy cove near the foot of Stac Pollaidh. I was with a small group of photographers and despite looking away from Inverpolly's most celebrated peak, the scene was moody and utterly enchanting. Perhaps most interesting of all was how few photographs were taken when the shower had passed by as opposed to the act of passing by.